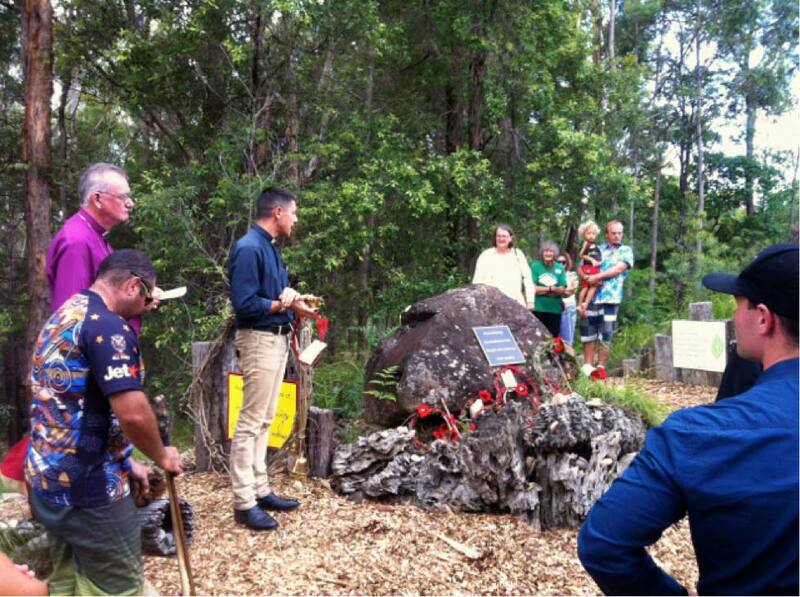 On Friday 13 Feb 2015, National Apology Day, over 80 people gathered at Buderim to honour Indigenous servicemen and to apologise for discrimination when they returned. 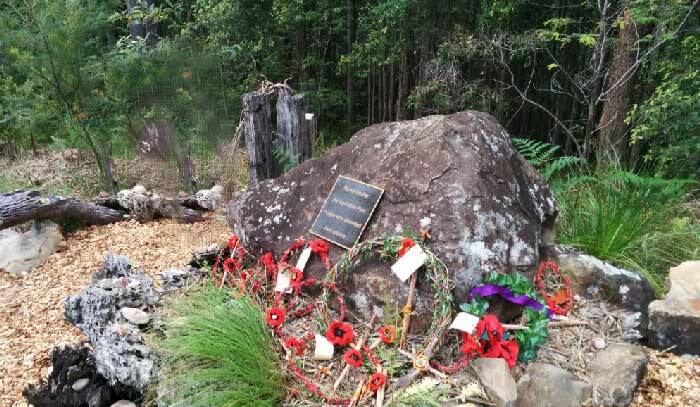 Prof. John Maynard spoke about the experiences of the servicemen and their families, and Archbishop Phillip Aspinall dedicated a memorial to the Australian First People who have fought in defense of their country, and to the Australian South Sea Islander service people. Visitors from Brisbane and Toowoomba and Brisbane joined people from Buderim and the wider Sunshine Coast for a lecture at St. Marks Anglican Church (Buderim) by eminent Indigenous historian Professor John Maynard, a director at the Wollotuka Institute at the University of Newcastle. Susan (Chilly) Morgan welcomed everyone to Buderim on behalf of the Kabi Kabi people, and Michael Williams, a senior Goreng Goreng man, was master of ceremonies. Prof Maynard spoke about the Aboriginal warriors, such as Pemulwuy, who led their people in resisting settlement; but he concentrated on the experiences of Indigenous people in overseas wars, – reading letters sent home and the recollections of families, interviewed in the national centenary of Gallipoli project ‘Serving our country’. Prof Maynard said that one of the remarkable findings so far, is the overwhelming pride that Indigenous families have in their service to the nation, despite the discrimination that returned service men experienced, especially those returning from the First World War. Prof Maynard also explained the changing social circumstances of Indigenous people between the wars when government polices forced people from their farms to make the land available for non-indigenous people. After a bush tucker lunch, including bunya nut pasta and lemon myrtle cheesecake, our guests went to the Green House in Buderim Forest Nature Refuge on Lindsay Road. Brent Miller welcomed everyone on behalf of the Kabi Kabi people. Archbishop Phillip Aspinall and the local First People and South Sea Islander elders took part in a ceremony dedicating a memorial to the Australian First People who fought in defense of their country both here and overseas, and also to the Australian South Sea Islander service people. The guests, led by Fr Jeremy Greaves, Brent Miller and the Archbishop Aspinall walked in procession through the bush to the war memorial where they laid wreaths, rustic crosses and other tokens. The memorial includes a row of 13 white crosses beside Lindsay Road, one for every Australian overseas military engagement since Federation. The guests included members of the Sunshine Coast Reconciliation Action Group, Reconciliation Queensland representatives – Aunty Betty McMahon and Neil Whiteman, Kabi Kabi leader Lyndon Davis, Rev Bruce Boase, the Mayor of Sunshine Coast, Councillor Mark Jamieson, and Councillors Christian Dickson, Ted Hungerford and Jenny Mackay. Beulah Community Limited received a State Government Centenary of Anzac grant for this project and support was received from Buderim SAILS, St Marks Anglican Church, the Community of Aidan and Hilda and Caledonian Colour- who made the signs. 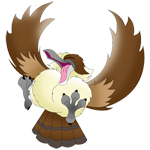 The bush tucker was provided by Ka’lang’wel Bin’ja” – Goodfellow Food.